If you want your HTML email to put into recipient’s INBOX, you have to follow some rules. Because of the very limited support of style sheets in webmail clients, the best and safe way to layout your html e-mail is to use tables. URLs of email should be short/small. Most webmail and e-mail clients use a white background color to display messages. If you send a HTML e-mail to people with a webmail or e-mail client who can’t read HTML e-mail, they will only see the HTML code. If you don’t know what your recipients use, send your e-mail as multipart/alternative. This is the HTML version and the plain text version. These issues greatly affect the HTML email. Currently I am working on a project where the emails must have to be sent to INBOX. I got success following these issues. I am researching more on that. 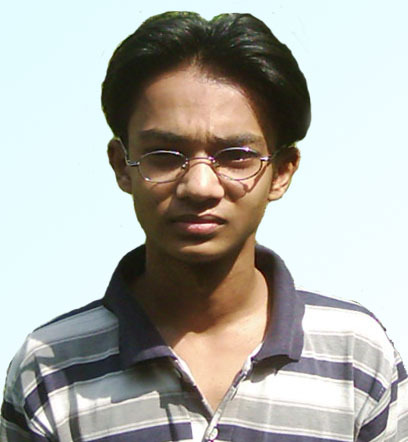 Nurul Islam, A fourth year Electrical Enginerring student of Rajshahi University of Engineering & Technology (RUET), is suffering from kidney damage problem. Doctors’ tests said that his both kideneys are damaged. A lot money is needed to save Nurul from this condition. But his family can’t afford that. So people from the different levels of the society are trying to help Nurul. Can’t we help Nurul to get life back to this nice world ? Or should not we try to save Nurul Islam ? See the innocent face of Nurul Islam. Our minimal combined contribution can save a thousands of Nurul Islam. Please broaden your hands, let Nurul keep among us. Please contribute as much as you can to save our brother Nurul Islam. Please forward this content to others. You are currently browsing the Rupom Here weblog archives for August, 2006.